Did you ever wonder why Facebook has always been blue? Turns out there’s some sophisticated science surrounding the use of color in marketing—that’s why companies agonize over choosing the perfect Pantone colors for their logos for months and months. While that’s true in most cases, the real reason Facebook is blue might surprise you. Nope, we’re not gonna tell you. Check out this week’s bonuses to find out the secret behind Facebook’s color scheme. 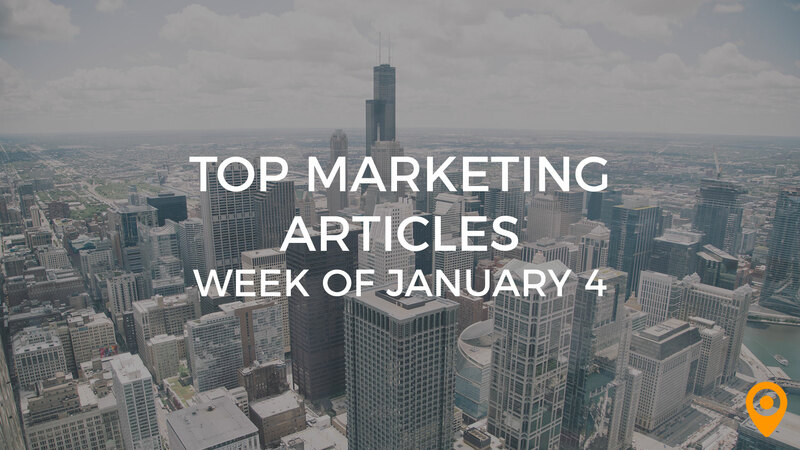 We also have six rocking content marketing infographics, 200 Google ranking factors, 21 social media tools and tips and much, much more for you this week. Which brings us to another little something to ponder: We wonder how many individual tips we manage to pack into a simple top 25 every week. Think about it: All these great thought leaders share dozens—or hundreds—of tips in a single post, and we share those posts in a top 25. That’s a lot of tips and tactics. Just a little food for thought. We know that this week includes at least a few hundred strategies and secrets. In which case, we better stop talking and let you start digging—enjoy! Brian Dean from Backlinko hits the mark with a comprehensive list of 200 Google ranking factors. If you’re looking for an insider ticket to all of Google’s secrets, this is as close as you’re going to get! Meta tags have gotten a bad rap as, well, worthless after a number of Google algorithm updates devalued their importance for SEO value. But title tags are one tag that still carries some weight. Check out this title tag optimization tutorial from SEO-Hacker.com. Steamfeed has an informative post (last in a series of four) on signaling your authenticity to Google. Check out the first three installments in the series for more juicy SEO tidbits as well! What does social media influence really mean? Forbes recently released a list of influencers that missed a few notable names. Jure Klepic issues a response outlining his thoughts on social media influence and who should have made the list at The Huffington Post. Jeff Bullas rocks it with a list of 21 social media tool and technology tips. Are you falling into common social media traps? Let’s Build Websites shares ten common mistakes and myths surrounding social media marketing. Local SEO can be complex, but Practical eCommerce offers up a list of nine free tools to help you get moving. Liana “Li” Evans reports on some interesting information for local small business marketing to emerge from Pubcon this week in New Orleans, including producing videos, establishing relationships with journalists, and evaluating optimal times to issue press releases. Check it out at Search Engine Watch. Martin Ramirez offers a detailed guide to local search optimization for beginners. Ramirez talks keyword research, on-site versus off-site optimization and more. AWeber features a case study outlining three easy ways to grow your audience and get more responses. Want some tips for taking your email marketing campaign to the next level? Yes, please. Rem Online offers seven tips for doing so. What’s the biggest barrier to your success in email marketing? Poor quality data. Yep, that’s right. The importance of data analytics spreads to your email marketing campaigns as well. Get some interesting stats and findings on the subject at eConsultancy. Have you ever considered adding video to your mobile marketing campaign? There are all kinds of obstacles to overcome, such as adapting to different browser sizes, but it is do-able. Digiday reveals three things you need to know about mobile video marketing. Smartphones can help you maximize sales. Find out how to capitalize with some great advice from V3 Integrated Marketing. Last week we mentioned push marketing, which is a touchy tactic to master. Used wrong, push marketing can turn your customers off. Responsys has ten great tips for using this strategy without alienating your audience. Newbie to content marketing? No worries. Ken Lyons from MeasuredSEM has seven expert tips for content newbies to get you started on the right path. Check it out at AllBusiness.com. We’re going to tell you a secret. Shhh. Actually, Convince and Convert is sharing a secret with you—the biggest, yet never-mentioned benefit of content marketing. We know you’re dying of curiosity! Ready to kick your content marketing campaign into high gear? Venture Accelerator Partners reveals a few tricks to getting your strategy up and running. Jim Berkowitz satisfies our need for awesome tools this week with 10 content curation apps that will turn you into a content curator extraordinaire. Get your tool-groove on over at Social Media Explorer. Having trouble finding the delicate element balance for optimizing your landing pages? Search Engine Land shares 7 A/B tests you can run on your landing pages tomorrow. Continue on your path to mastering optimization with these informative tips for improving conversion rates from Devsteam. Impatient? We can totally relate. David Wood helps you out with two ways to boost your conversion rates right this second. What are you waiting for? Get on it! It’s time to take the crisis out of crisis communications. Forte PR reveals how. Online reputation management is entering a new era. Reputation Communications reveals what you need to know. You know that social media monitoring and reputation management are like two peas in a pod, right? The monitoring part is just as important as the marketing part. Read more about this and other tips for navigating the complex realm of online reputation management from Stir Tourism. Did you ever wonder why Facebook is blue? Buffer shares some inside information on the science of color in marketing. It’s an infographic roundup! Social Marketing Writing has six must-read content marketing infographics to satisfy your craving for exceptional data visualizations. 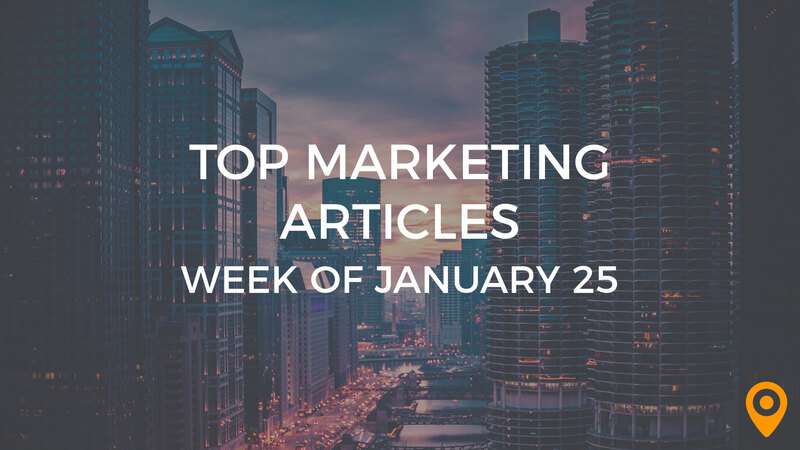 More greatness from Top Rank Blog this week, as Lee Odden reveals six simple considerations to boost the performance of your content. Can you measure the ROI of your content efforts? Sure can. 60SecondMarketer shares four ways to measure.